Sign up today to receive latest Museum news! In person at Box Office. Closes 15 minutes after start of last IMAX show. The Science of Cinema Has Been Raised to the Level of Magic! The IMAX with LASER® groundbreaking movie projection technology has transformed the AutoNation IMAX 3D Theater experience into one of the most extraordinary theater experiences in the world. The AutoNation® IMAX 3D Theater is the only place in Florida, and one of only a few in the world, to offer 2D and 3D movies using the new IMAX with Laser system. Designed from the ground up for IMAX’s largest screens, the dual 4K laser projection system is equipped with a new optical engine and a suite of proprietary IMAX technologies capable of projecting an image with up to a 1.43:1 aspect ratio with maximum resolution and sharpness, unparalleled 2D and 3D brightness, industry-leading contrast and an expanded color gamut that will allow filmmakers to present more vivid and exotic colors than ever before. 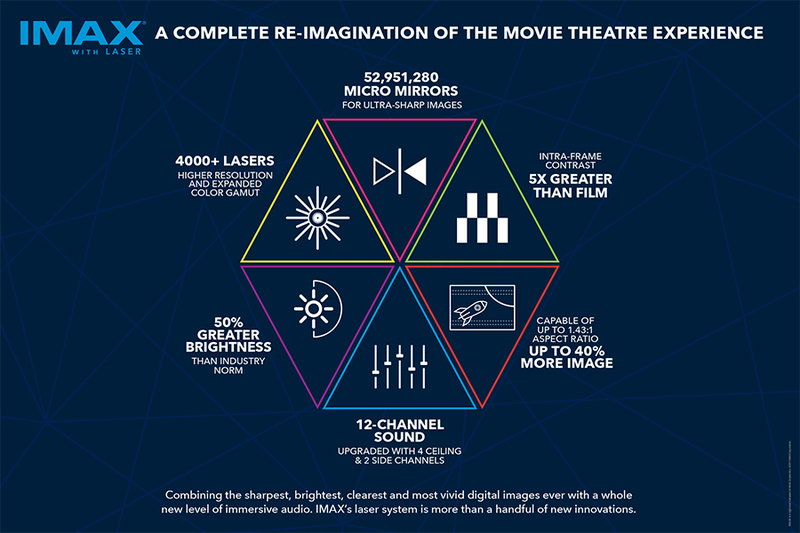 IMAX’s next-generation sound system delivers even greater power and precision, doubling the sound through an enhanced 12–channel system with boosted sub-bass featuring 114 speakers capable of 52,000 watts of digital sound. Whether you’re hearing a pin drop or feeling the heart-pounding force of volcano or a rock concert or a thunderstorm – you’re going to have a new kind of visceral sound experience. It’s the difference between watching a movie and being a part of one! 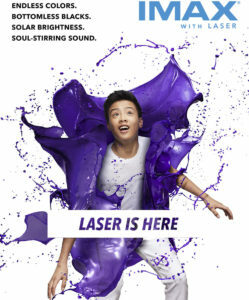 To learn more about IMAX with Laser technology click here. 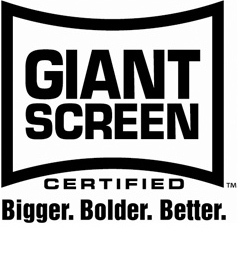 The AutoNation IMAX 3D Theater and is one of only three theaters in Florida that have been designated as a Certified Giant Screen Cinema® by the Giant Screen Cinema Association. Our six-story-high screen, measuring 60 ft. high x 80 ft. wide, is large enough to show a whale life-size! 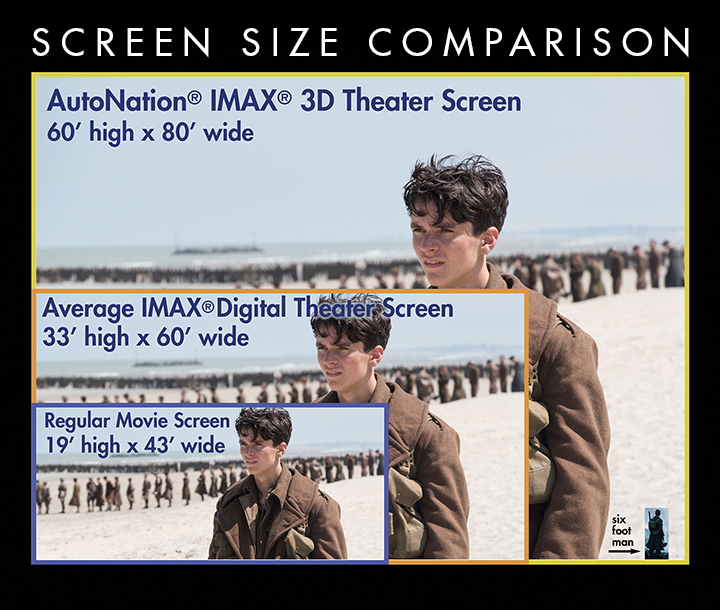 Our giant screen combined with our unique theater geometry, stadium seating and IMAX sound system provides you with a truly immersive film experience.